Whenever I get to try and be amazed about a certain dessert, I make sure I pay proper respect. As I have always said it, I am not a big fan of sweets. So the perfect blend that catches my palette’s attention is truly deserving of an entry and my recommendation. A friend brought this yema cake from her recent trip to Laguna. She gave us a slice so we can try and it was an explosion at first bite. I could not forget about it that I had to ask her to buy me a whole one the next time she goes back to the province. 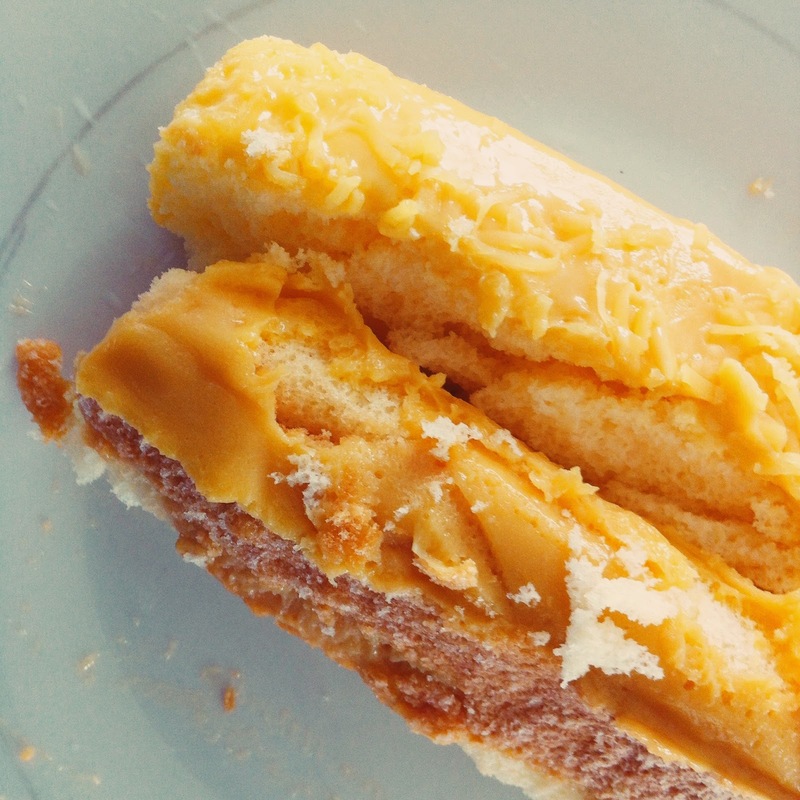 Rodillas Yema Cake is one exceptional piece of cake. Luckily, fans no longer need to travel all the way to the province of Quezon because they just opened a new branch in Calamba Laguna. So for custard-loving-sweet-tooth, I highly recommend if you haven’t tried it yet, to have a bite. It is simply fantastic. I agree, its' perfect for a cup of joe. I love yema cake! Grabe lang ang sayang nadadala niya sa akin.